Joseph S. Brown's scholarly interests include racial and ethnic group politics, urban politics and public policy issues; and African American studies. He also serves as coordinator of the department's public service internship program. 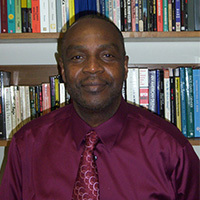 Dr. Brown joined the Baylor faculty as Associate Professor of Political Science in August 1990. Prior to Baylor, he taught at Southern University in the Department of Political Science (1982-1983) and the Department of Public Administration (1983-1990). Dr. Brown also directed the Urban Studies & Public Policy Institute at Dillard University (1979-1982) in New Orleans, LA, and taught at Bishop College (1975-1979) in the department of political science. A course in American national government with emphasis on the historical background, structure, organization, and functioning of that government. A study of the political experiences and public concerns of four major ethnic and minority groups: African-Americans, Mexican-Americans, Asian-Americans, and Native Americans. Topics include employment, immigration, education, police-community relations, political and economic inequality, political movements, leadership patterns, and ethnic conflicts. Research and seminars supplemented by fieldwork in a regional federal agency, in a state or local governmental agency, or in a not-for-profit agency. Contemporary African American politics, including leading theories and paradigms, important social and political movements, prominent leaders, party politics, and role of the "Black Church." Political institutions and processes in metropolitan areas, including social, economic, and governmental problems resulting from increased urbanization.